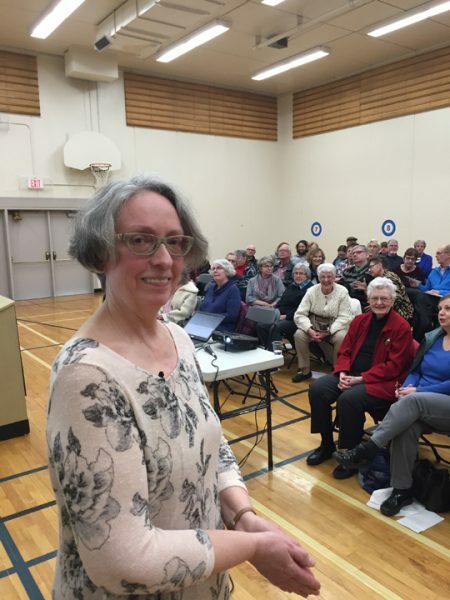 On Tuesday, March 26, Marlena Wyman shared her reflections on her position as Edmonton’s fifth Historian Laureate with a generous audience of EDHS members and friends. A retired archivist and very active visual artist, Marlena said her desire for the role was to bring a new perspective to our understanding of Edmonton’s history, particularly in helping fill the gaps in Indigenous and women’s history. She also expressed a goal of increasing the recognition of archives as repositories of facts for academics, governments and the public, and as places that help build identity. She encouraged the audience to submit family documents and photos to the City and Provincial Archives. For more on Marlena’s role, check out the City of Edmonton’s Historian Laureate page. 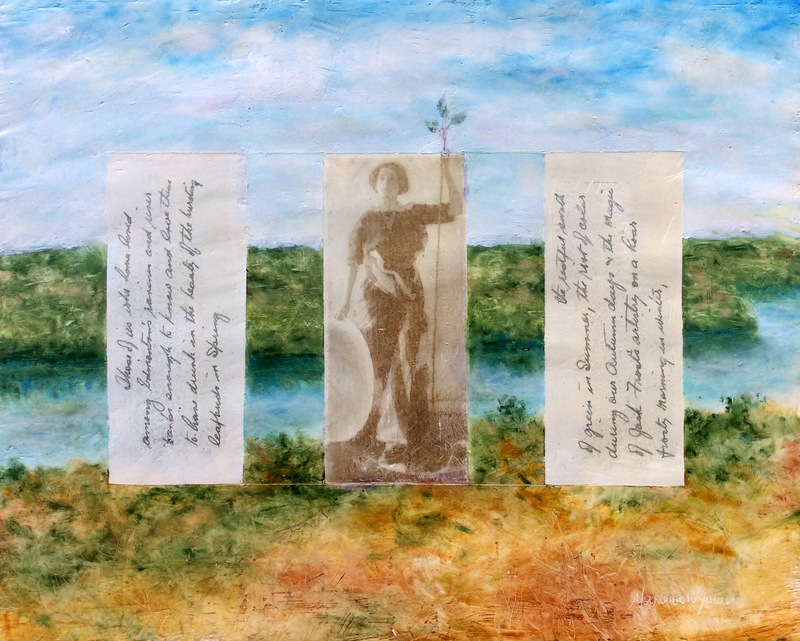 For a look at her history-inspired artwork, see Marlena’s personal website.